41 years since the outbreak of the war and 26 years since it officially ended, there are 17,000 that remain disappeared. Till this day, these 17,000 people, whether kidnapped at the hands of local or foreign militias, summarily executed days later or arrested and arbitrarily detained in Syria, still alive or long gone and resting in one of many mass graves across the country….their unknown fate has literally or metaphorically killed many others, their families and friends, slowly killed by the indifference of the world around them, as well as the Lebanese government’s inability and unwillingness to help them answer for their loved ones. Their lives have been poisoned by uncertainty and disillusioned by hope, yet many of them still wait and haven’t given up on the truth, no matter what. 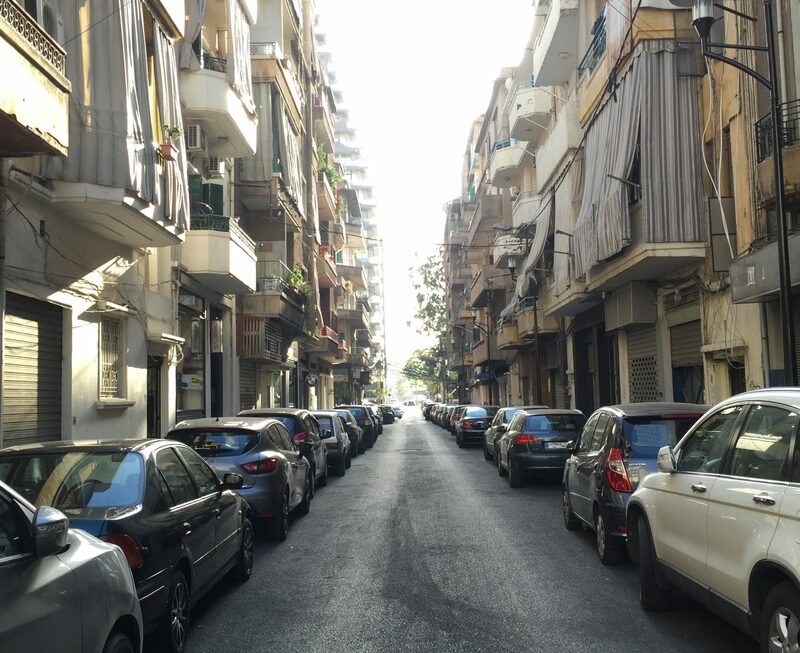 Ali disappeared in 1984 while on his way back home in Beirut after spending the weekend at his grandparents’. He was 13 years old. Unable to cope with the loss of her son, Ali’s mother Nayfeh took her own life a year later. Today, NGO Act for the Disappeared and as part of its Fushat Amal/A Space for Hope campaign, asked people to change their social media profile pictures with that of someone who remains disappeared. 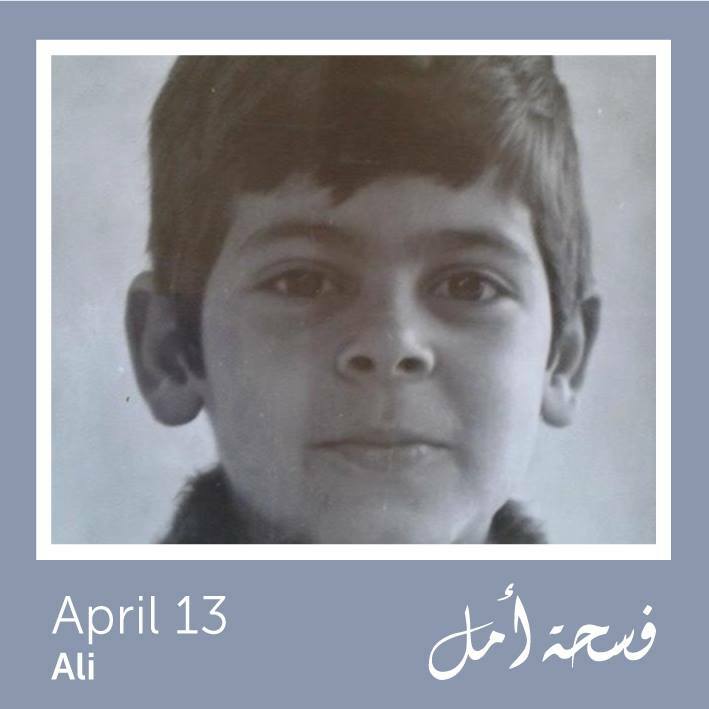 This picture was suggested with the following caption: Today I changed my profile picture to the picture of Ali who disappeared in 1984 to support the families of the thousands of missing in Lebanon and tell them that I will not let their story end here. Today, and every year from now on, commemorating April 13 shouldn’t be about the war itself, but about the need for the Lebanese government to provide answers about the disappeared and bring those responsible to account for their crimes. While commending the selfless work done by many non-governmental organizations to support, help uncover this truth and bring if only some closure to families (including Solide, Committee of the Families of the Kidnapped and Disappeared in Lebanon and ACT for the Disappeared), it remains a duty for which the government must take full responsibility for. Without these answers and without justice, we cannot “remember [the war] so as to not repeat it again (“تنذكر وما تنعاد”), nor can we expect the war to have truly ended.